In case you haven’t already heard, Minerva Crafts are hosting a meet-up on Saturday 14th June, and some of the bloggers from the network are going to be there (including me). We’ve been asked to make something special to be revealed on the day, so that’s what I am currently working on… and I don’t mind admitting that I am relieved to not have to reveal my garment to you just yet, as I haven’t actually started making it! I am very last minute this month! My project is going to be a floral print dress made with ramie. No big surprises there, as dresses are my preferred thing to sew (and wear), and I’m partial to floral prints. 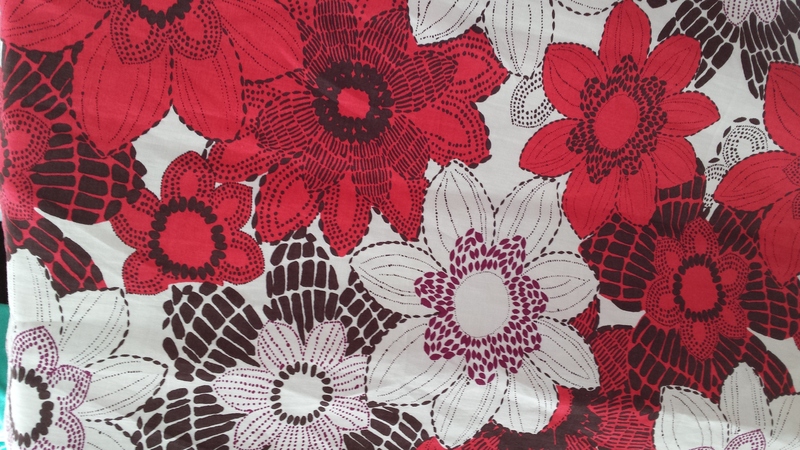 The thing I love most about this fabric is the print – a large scale floral with a red, cream and brown colour scheme. The saddest thing about this fabric is that Minerva have now sold out of it. I snaffled the last of the bolt – lucky for me, but not so lucky for anyone who wants some for themselves! 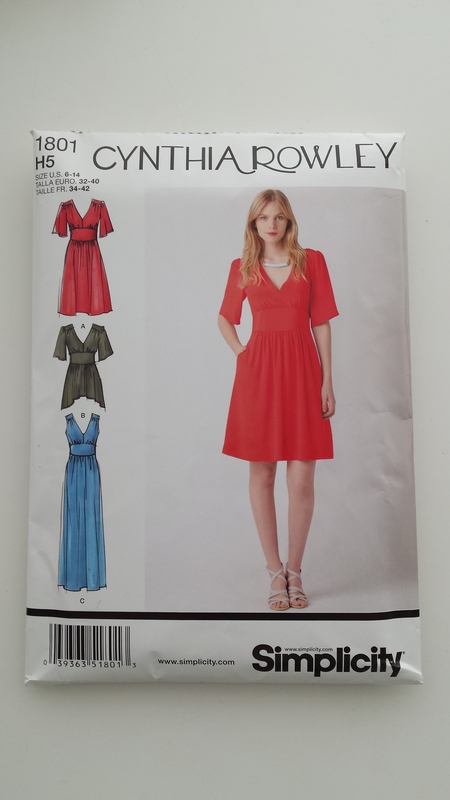 The pattern I’m going to use is a Cynthia Rowley for Simplicity pattern – 1801. I’m hoping to make the maxi version of this dress, but as yet I haven’t cut the fabric so I don’t know for sure that I’ll be able to squeeze it out of the length that I have. Although I haven’t started making the dress yet, I have already made a toile, which was too small, so I traced the bigger size ready to start sewing this week. When I made my toile I didn’t just baste as normal, I made the bodice as if it were the final garment (minus the arm facings) – I even French –seamed it all! So I’m feeling pretty confident about sewing this up in a short space of time, and confident about the fit, too. Wish me luck! As a fellow Minerva blogger, I shall be there too. Looking forward to seeing your finished dress along with all the others. With my wedding 4 weeks away I’ve dipped out of the garment challenge so feel a bit of a fraud! Looking forward to meeting you! I don’t blame you for not making a dress: sounds as though you have other things to prioritise right now! good luck! It’s going to be a great dress in that pretty fabric. Thank you. Maybe not classic ‘evening wear’ but nice all the same. Looking good so far! I won’t be at the meet up as it’s too far, but I hope you guys have a blast! Thank you. Shame you can’t make it but I hope to see you again soon!